In April 2018, the construction of Ukraine’s soon to be largest solar power plant with a capacity of 200 MW started in Nikopol, Dnipropetrovsk region. The project is being implemented jointly by DTEK, a large Ukrainian energy company, and China Machinery Engineering Company. After completion of the construction works, the Nikopol power plant will become the most powerful solar power plant in Ukraine and one of the top 3 most powerful solar power plants in Europe. 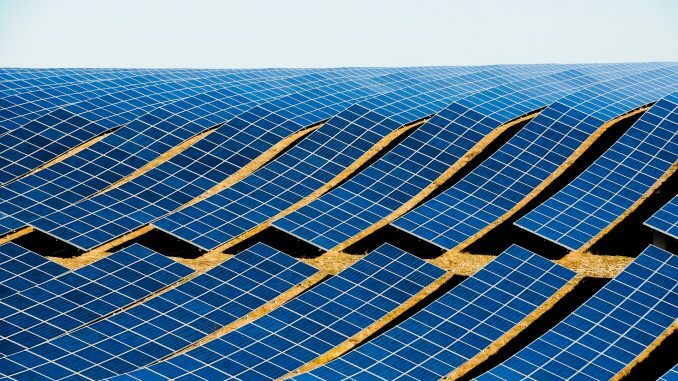 One of the largest solar power plants in Europe will be constructed in Dnipropetrovsk region. The construction works commenced in April und should be completed by the end of 2018. DTEK (which stands for Donbass Fuel-Energy Company), a Ukrainian energy company with over 140,000 employees, and China Machinery Engineering Company (CMEC) have signed a contract for the construction of the solar power plant with a capacity of 200 MW not far from Nikopol, a city with a population of 120.000 inhabitants located in Dnipropetrovsk region. CMEC is part of Sinomach, a large state-owned group in China that is one of the world’s leading energy companies. In the construction of the Nikopol solar power plant, the Chinese company acts as an investor and contractor and has invested EUR 230 million. After completion of the construction works, the Nikopol power plant will become the most powerful solar power plant in Ukraine and one of the three most powerful solar power plants in Europe. The commissioning of the new “green” solar power plant will take advantage of innovative climate change solutions. This will cut carbon dioxide emissions by 300,000 tons annually by reducing the environmental effects of conventional energy sources. Thus, 280 million KW will be fed-in into the grid annually, which can supply 100,000 households with electricity. Furthermore, the commissioning of the power plant will create new jobs in the region. The construction of the Nikopol solar power plant is one of the largest renewable energy projects in Ukraine. The Ukrainian side hopes that the cooperation between DTEK and CMEC will also be an example of cooperation for other Chinese companies, as China is the world leader in renewable energy. CMEC has already constructed many such facilities, generating a total of 4.3 GW of electricity, including over 600 MW of solar power. This partnership may be a great catalyst for the development of the Ukrainian energy industry.